Northern Audio installed a combo LG flat-panel displays for watching two sports programs, side-by-side, at the same time. Also in the room is a motorized projection screen (and mounted Sony 4K projector) whereby the room can easily be darkened and converted into a home theater with 7.1 Dolby Surround. 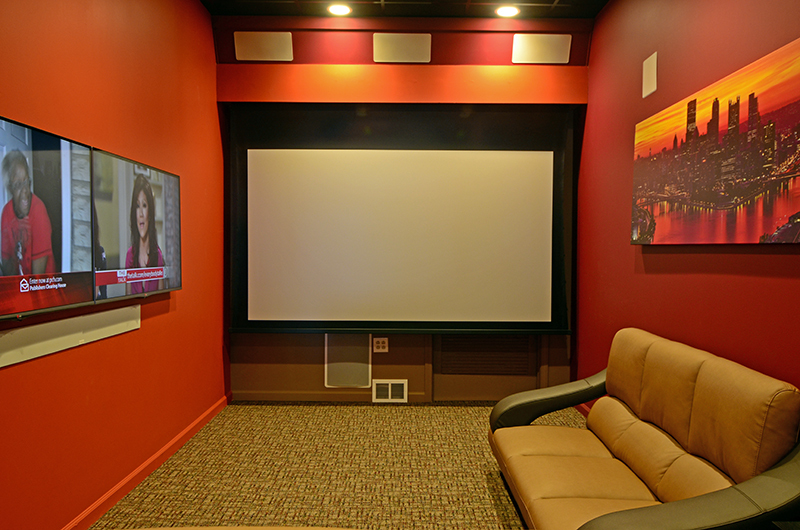 The entire room, including audio, video, lights, and motorized screen are fully automated and controlled with Control4. One can switch from the Sports Bar mode to that of Home Theater with simply a push of a button. Questions about home theater combos? We’re here to help! Give us a call 412-931-5850 or fill out the form below.